If the state you live in keeps saying “no” to commercial casinos but there is still a local and fully functional casino a short drive down the road, there’s a good chance that what you’re looking at is a tribal casino. In short, a Native American or tribal casino is a gambling establishment operated on Native American lands. Native gaming establishments are made possible because of the legal title which tribal land falls under, considered to have a large degree of sovereignty from the United States government. This means that Native American tribes are considered their own nation with their own laws and regulations – meaning that American gambling legislation doesn’t apply to them the same way it might to other casinos. It is a little-known fact that the basis for Native Americans being able to run casinos off their tribal land arose out of a dispute over residential independence from the local Minnesota government – an argument which was completely unrelated to casinos or gambling. Though Native Americans have lived on this continent long before settlement by pilgrims, only starting very recently have they been afforded sovereignty and respect from the United States government. Up until the 1970s, Native Americans living on reservations were considered independent from local government, but the legislation had not been put to the test. That is, until a couple living on tribal land was issued a bill for the property tax from the local county. The couple, Russel and Helen Bryan, saw this as a problem because the land they lived on was supposed to be considered a sovereign nation by the government, so American laws which dictated things like property taxes should not apply to them. The Bryans challenged the county that taxed them in the local court and lost, but continued appealing until the case reached the United States Supreme Court. The Supreme Court was, surprisingly, the first to lean in favor of the Native couple, unanimously voting that states didn’t have authority over natives or their activities when they take place on tribal lands. Even though this wasn’t related to the specifics of tribal gambling, it established a federal stance that local governments don’t have jurisdiction over and therefore can’t regulate things that happen on reservations. Since gambling is dictated by state and local legislation, the Supreme Court saying that tribes were their own nations set the stage for reservations having control over their own gambling laws. In 1979, just 3 short years after the Bryans’ case, a Seminole tribe set up bingo halls on their reservation. 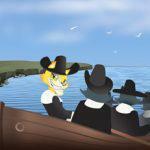 If you want to enjoy the game of bingo but can’t make it out to Florida, check out CoolCat Casino’s online Bonus Bingo! There were contentious arguments between Florida state and the tribe. This case pushed a lot of concerns to the forefront, bringing both points of view to the table for the court to judge. The court ruled in favor of the Seminole tribe being able to govern their own gambling establishments, even though they broke a lot of the restrictions set in place for regular, state-approved casinos. A lot of the legislation surrounding tribal casinos was formed by arguments that occurred between the state and the reservations. Because both sides of the discussion had valid points, these points were incorporated into law. On the Native American side of the conversation, there was a lot of pride in the Native American Nation. Since there was so much previous dispute surrounding tribal sovereignty in the United States, the argument held that they had the right to determine and negotiate their own laws, regardless of the topic. Historically, they faced discrimination as lesser citizens of the country. It wouldn’t make sense if, as Americans, they had restricted access to the benefits of being a citizen, yet were restricted by regulations that applied to full citizens. Reservations also suffered greatly because of a lack of industry and economic development. With the ability to run casinos, these tribes argued, they would be able to reinvest in the reservation and help themselves since the government left them out to dry. In the state’s opinion, it wasn’t a matter of freedom but rather a matter of liability. The government had fears about tribal casinos, like the Seminole bingo halls in Florida, not adhering to restrictions like operating hours and jackpot limits. If you’re looking for a huge, life-changing jackpot at a tribal casino, you’ll have better luck playing an online progressive slot game at CoolCat Casino, like Gemtopia! Legislators feared that by not having to follow the same rules as other casinos in the same state, tribal casinos had an unfair advantage and would thrive at the expense of tax-paying establishments. Casinos have also been widely influenced by organized crime throughout American history – just look at the history of Las Vegas – and the state would have no criminal jurisdiction over tribal casinos if they were considered sovereign from the U.S. government. Both sides were valid in their arguments, and because of this, the federal government took these opposing points into consideration when forming legislation surrounding gambling on tribal land. There are over 30 states that have legalized Native American gaming, and you’d be surprised at some of the states that still don’t have any casinos at all. Under president Ronald Reagan, the Indian Gaming Regulatory Act of 1988 passed through the United States Congress. This piece of legislation acted as a compromise between the Native American tribes and state governments. It basically said that Native tribes had the right to determine their own laws and regulations, but before building any gambling establishments, they also had to negotiate a tribal-state compact. This guaranteed that an agreement would have to be reached before any casino-building could occur, ensuring that neither the tribes nor the local government would feel unrepresented or taken advantage of. Above both the tribal and state level, the federal government retained the right to regulate gaming on reservations. According to the IGRA, tribal casinos reserve the right to run all classes of gaming, unless it directly conflicts with state or federal law. Since tribal casinos also had the right to raise jackpots over the state-set limit, the federal government instated a panel, called the National Indian Gaming Commission, to look into high-stakes gaming on Native properties. This was established to prevent corruption in casinos and in reservations. It most likely arose out of the state’s concerns about organized crime infiltrating tribal casinos. A relatively common feature of tribal-state compacts is a kind of tax, where states take a certain percentage of the casino’s revenue. This is supposedly redirected towards the area surrounding the casino, whether it is dedicated to practical matters like infrastructure, or more social matters like funding schools or local community projects to offset any negative impact that a casino may have on the locals. Tribal casinos are often established in states and counties that do not necessarily allow for the founding of commercial casinos. So, how do the two differ from each other? Well, casinos run out of reservations are considered noncommercial – in other words, their revenues are to be spent on government or charitable projects. More specifically, a certain percentage of the casino’s revenue is taken as a state tax – this much is predetermined by the tribal-state compact. Once the government takes its cut, the rest goes back into the Native American communities. For the gambler, though, you will still get to play some of your favorite games, like video poker, regardless of what kind of establish you walk into. Before making the big trip, brush up on your skills. 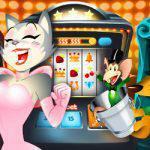 Check out CoolCat Casino’s video poker games, like the classics Jacks or Better or Deuces Wild! Tribal casinos are often the only instruments of economic development that Native American communities have access to. They reinvest profits from the casino into the reservation to help fund infrastructural projects on native property, which is often overlooked by local governments because of the sovereign status of these tribes. Revenues are also often spent on funding healthcare and education, as well as community projects like museums and cultural centers. Tribal casinos are expected to put their money towards charitable causes as well. Aside from the destination of tribal casinos’ revenues, Native Americans also value the impact that gaming operations have on the local community. Tribal casinos employ both natives and non-natives, creating jobs for people in the area. It has also been argued that with the introduction of a tribal casino into a locality, relations between the Native and non-native communities improve drastically. Natives are essentially welcoming non-natives onto their reservations and coming into constant friendly contact, which creates a bond that surpasses the boundaries imposed by the governmental legislation. All in all, tribal casinos offer your favorite forms of gaming. You don’t need to plan a trip to Vegas just to spin a few slots in person or to try your hand at a game of blackjack. In fact, Native American reservations aren’t the only places where you can find unusual casinos – they’re all over the place! But before you can make the day trip, enjoy a few practice rounds with low-risk bets at an online casino. 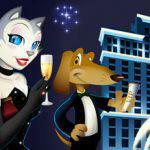 CoolCat Casino offers over 220 of the most popular casino games on the market, and with free play mode, you could become a master gambler in no time!